If you were thinking of spending this Shabbos in Samoa, you might want to think twice. Tonight, at the stroke of midnight, the tiny South Pacific nation, and its neighbor Tokelau, will skip over Friday and leap to Saturday, December 31, as it crosses westward over the International Dateline. The International Dateline is drawn by mapmakers and not mandated by any international body. It is a country’s prerogative to choose where it lies. Samoa has been on the eastern side of the International Dateline for 119 years, the same side as Hawaii and currently five hours behind New York. By re-drawing the line, and changing to the western side, it will make it easier for the nation to do business with their increasingly important trading neighbors, New Zealand and Australia, for it will be on the same side as these countries, and put it 19 hours ahead of New York. To facilitate this change, Samoa and Tokelau are skipping Friday, December 30th. Two minutes after 11:59 pm Thursday, December 29, 2011 will be Saturday, December 31st, 12:01 a.m. [This all happens at 5:00am EST Friday morning]. According to Rabbi Heber, “According to almost all opinions, the Halachic Dateline is not determined by what the locals call “Saturday” and therefore, the fact that Samoa changes the Dateline does not change when we keep Shabbos. So, what is the bottom line when it comes to keeping this Shabbos in Samoa? In general, says Rabbi Heber, given these doubts, the areas where there is “safek Shabbos” should be avoided. One should consult with a halachic authority before traveling to Japan, New Zealand, Hawaii, and other areas in the Pacific for a weekend. Rabbi Heber concluded by saying that the minority opinion of Rabbi Menachem Kasher was that one follows the local population. Although we do not hold like this opinion it is interesting to ponder what Rav Kasher would advise a Jew who is spending this Shabbos in Samoa, where this Friday night does not exist. There is American Samoa and then Samoa. two different things so please ask your rov a shailoh in general if you go for business. In general youw ould have to keep two days of shabbos and this has nothing to do with skipping a day this week. Wouldn’t refraining from melacha this Shabbos in Samoa be for 73 hours, not 49? From Thursday sunset until Sunday dark is three full days, plus an hour. Not ch”v to contradict anything said by R Heber, but l’maaseh, very few people stop all melakha for two days; generally they hold full issurim and Shabbos davening for one day, either as does the Chazon Ish or as does Rav Tuk’chinsky, and avoid melakha d’oraisa on the other day. An interesting way to get around some of the s’feikos would be, for instance, in NZ, to hear kiddush from someone else on Fri night (kiddusha rabba during the day isn’t a problem, not involving a separate b’rakha), and to make it yourself on Sat in the late afternoon, between p’lag and sh’kia, so that m’ma nafshakh, you are yotzei for either day. You’d hear havdala from a local, on Sat night (similar to the old “1 1/2-day” p’sak for Yom Tov Sheni, which was basically holding like the Chakham Z’vi and the Briskers, but being machmir for R Moshe), and then not make your own havdala until Sun night (which b’diavad can be made until late Tues, albeit ordinarily without ner and b’samim). When things like this are done, it’s generally done by people visiting for one week or so – the locals usually hold one day, and it’s almost always the local Sat (basically one of the two main shittos, plus R Kasher’s (and others’) shitta. Note that there are shittos that hold the dateline to be near where the civil one is. A further complication occurs regarding people flying or taking a boat on Sun from the eastern two-thirds of Australia, as the basis of considering the local Sat as Shabbos for virtually all of Australia (with the possible exception of Tasmania – which ironically had the first and second shul [or at least the two oldest shul buildings]) even according to the Chazon Ish, stems from his shitta of not splitting a yabeshes (the Brisker does split land masses, which would make it theoretically possible for an individual to move – even walk – back and forth, in a way almost analogous to what can be done with Purim d’p’razos and d’mukafos to multiply chiyyuvim (or to do what Dr. Yeshayahu Leibowitz was said to have done to avoid chiyyuvim). Flying east from Hawaii late on Thursday also creates a problem, and you had to fly then, you’d have to estimate when you cross the meridian of R Tuk’chinsky’s shitta, before doing melakha. It’s revealing that l’havdil, two opposing shittos as to what to do tonight have already emerged among the Seventh Day Adventist population on Samoa. “Thirty days have September, April, June and Samoan December.” Of course, all this pales in comparison to the day in 1867 after the acquisition of the Seward Purchase, when Alaska jumped the dateline the other way, AND, in the opposite direction, switched from Julian/OS to Gregorian/NS calendar-keeping at the same time, so that the day after Fri Oct 6 was Fri, Oct 18! According to Yahoo, Samoa originally WAS on that side, but changed to the US side 119 years ago by having two Mondays(! ), in order to be on the same page as the USA. This topic has fascinated me for some time. Great write up. But the question begs to be asked why there is no safek on which day it is in all the Americas? Since the land mass ends in Europe, why is Hawaii an issue and not all of America/Canada/Mexico/South America? Just the determination of the intl date line can’t be the issue. As there were no people here living before connected to Europe or Asia. So wouldn’t it be a safek yom here too? Just imagine a 3, i mean, 4 day Yom Tov! 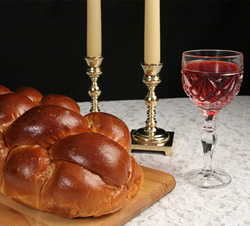 How about Chanuka – how do you light the candles on Shabbos? This can bring up some VERY interesting Shailos!!! Pepshort: Its only two days because this week there will be no Friday at all. Wednesday, Thursday, Saturday, Sunday. Hence the quesiton – which day is erev Shabbos. Keeping Shabbos for 49 hours would mean Thursday eve to Sunday night. mrlawrence: There is no safek concerning the Americas becuase if the dateline is opposite Yerushalayim then it would run through the continent. The Dateline does NOT ever run THROUGH a landmass – always around it (islands inculed, hence the shaila of about Samoa). The nearest edge is the Pacific Ocean hence we run continously from Europe to the Americas and change in the Pacific Ocean – the machloikes is a matter of where in the Pacific. As to the Shaila of New Zealand, what do the locals do? There ARE frum communities there. Clearly, until last week for these past 119 years Samoa would have observed Shabbat on Saturday, and as of this week they shall be observing Shabbat on Sunday; The reason why it is so clear why we all follow the Chazon Ish, & hence the Ba’al haMaor, is simply because because no-one today disputes the current Jewish calendar, and our universally accepted Jewish Calendar since Hillel in 4118, is predicated on the Molad of Tishri occurring before 12 Noon in Yerusholayim, which is the Sheki’ah exactly 90 degrees East of Yerusholayim, so that the entire world will experience the Molad before sundown on Tishri 1st; Hence clearly, 90degrees East of Yerushjolayim is considered the Halachic edge of the world, and 180 degrees from Yerusholayim is inconsequential to our calenderical & Halachic considerations. #9, at the conference in 1941 to decide this issue the overwhelming majority of gedolei haposkim DISAGREED with the Chazon Ish, and paskened that Japan is on the Asian side of the dateline. The CI is a daas yochid, and only his talmidim muvhokim follow him. Samoa is another question, because there is no clear majority about its status. The Bnei Tzion, who was taken by the conference as the daas hamachria, regards Samoa as an unresolvable sofek. #7, EVERY Jewish community in New Zealand keeps Shabbos on Saturday and regards NZ for all purposes as being on the Asian side of the line. #5, there is no opinion that the American mainland is on the wrong side of the dateline. R Tukachinsky does consider Hawaii to be on the wrong side, but he is a daas yochid on this, just as the Chazon Ish is a daas yochid about Japan, Tasmania, and New Zealand.